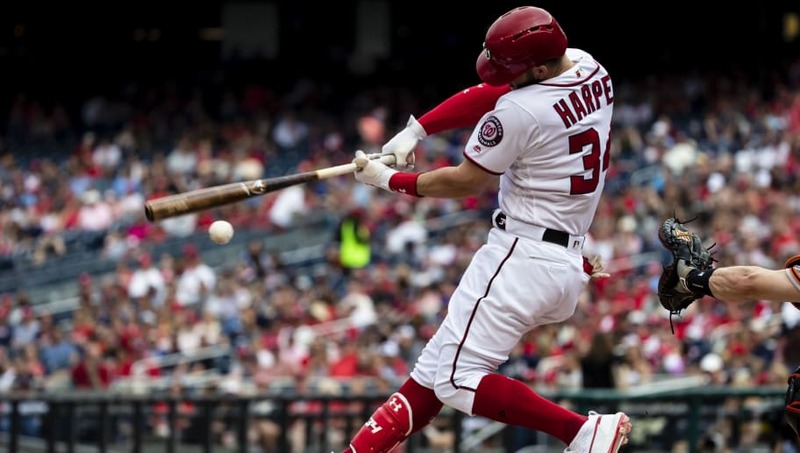 ​Seemingly out of nowhere, the San Francisco Giants have emerged as legitimate contenders to sign superstar free agent outfielder Bryce Harper. Early on in the offseason, it seemed that the Giants were more focused on ​planning for the future rather than make any short-term moves for 2019. However, as the ​MLB Hot Stove has stayed ​lukewarm for the second straight season, more teams have been coming out of the shadows to toy with the idea of signing Harper. The Giants have cap space to offer Harper a pricey, short-term contract, but the chances of him signing anything like the 10-year, $300 million alleged offer the ​Nationals gave the former NL MVP at the end of the season in hopes of re-signing him aren't very high. The Phillies had been presumed the team to sign Harper all winter, but after their recent trade for ​JT Realmuto, Philadelphia may very well be hedging as Spring Training draws closer. San Francisco would be an ideal spot for Harper due to their proximity to his hometown of Las Vegas, their relatively recent history of winning, and the short right field pole at Oracle Park. The fans would gladly welcome Harper, and since Hunter Strickland is no longer a Giant, the clubhouse chemistry shouldn't be an issue. Taking a lucrative, two or three year deal with San Francisco could allow Harper to get paid while MLB addresses the issues with free agency and hopefully resolve them by the time Harper is a free agent again.